It’s 4:30am, Copenhagen time. I’m pacing around our charming, death-trap of an apartment I thought I was so clever to find. Live like the locals, I mutter angrily to myself under my own breath. I’ve already dismantled an antique copper table, and hidden a vase I’m sure was worth more than my car. I encircle the impressive library, my half-opened eyes scanning the spines for English titles. On my overly fatigued right hip bounces a rather surly one year old, with Herculean strength, the lungs of a German yodeler and a vicious case of jet-lag. Sleep evades everyone in the household except for my partner who is snoring soundly in the far reaches of the apartment, so far in fact, my unfounded resentment at his contented slumber was made impenetrable through the turn of the century walls. To be fair to him, he had been awake for 24 plus hours and managed to successfully bang out an important conference call to Vancouver upon our arrival. But through dizzying fatigue and a foggy brain, it didn’t stop me from thinking: What the hell have I done? 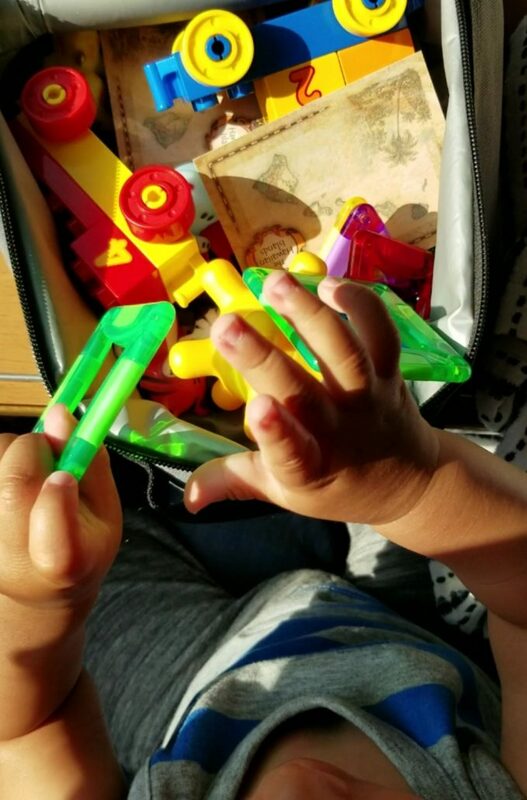 Was travelling to Europe with a baby a massive mistake? Unlike childbirth, oh and actual child rearing, I had actually done some research on overseas travel with an infant. Everything from how to keep them entertained on a plane, to combating jet-lag, to what the must-have baby gear was. I read through all the pretty mom blogs, you know the ones, with the cursive logos, calming shades of blue and pink, scenes of serene family time and bio’s featuring angelic, well-travelled little faces, coiffed hair, dressed in head-to-toe Neiman Marcus. I mean they have twenty-five kids (3-4 but let’s be real here, that would feel like having 25), they must know what they’re doing, right? I read through their packing lists, their tips, their pearls of wisdom. Some of it was good. Some of it seemed ridiculous. And in the end, none of it applied our family. Why? Because no single baby is alike, and when it comes to travel, there’s no one-size fits all formula to making things seamless. Was it enough to keep him entertained for 11 hours? No. But it did for at least half of it, plus it helped with all those freak-outs in hotel rooms, at restaurants, on the train…you get the point. The moment we stepped off the plane from our final leg I looked at my partner and abruptly announced: Never again! Admittedly, I was a little traumatized. Wrangling an overtired infant is difficult in the best of scenarios, but when you have about 1.5 feet of space to call your own for 10 hours, it’s enough to raise the blood pressure. Like a good travel consultant, I was sure to book our seats ahead of time. What I hadn’t done was book seats with extra legroom so my poor partner, at nearly six feet, was stuck in the middle seat with his knees wedged into the back of the passenger in front of us, and for me, breastfeeding was almost impossible without maneuvering in a way I didn’t give the entire plane a peep show. We didn’t make the same mistake twice. On the way home, I made sure to book the extra room, which in addition to giving us some breathing room, also allowed our little guy to stand and bounce in front of us, stretching his little legs. There’s no magic potion to overcome jet-lag, just go with it! Have a nasty case of jet-lag? Take some Melatonin, drink a ton of water and call me in the morning. Have a 1 year old with jet-lag? Hold on tight, because you might be white-knuckling your way through the first week of your holiday. It took our little guy about 5 days to adjust. The first couple of days were the absolute worst. Then it just became comical. Two bleary-eyed parents, making shadow puppets on the wall, making up songs that were probably too inappropriate for a one year old, wishing in vain we could just give him a seduko puzzle so we could go back to sleep. The actual formula for jet-lag is one hour of time-change for one day of recovery. 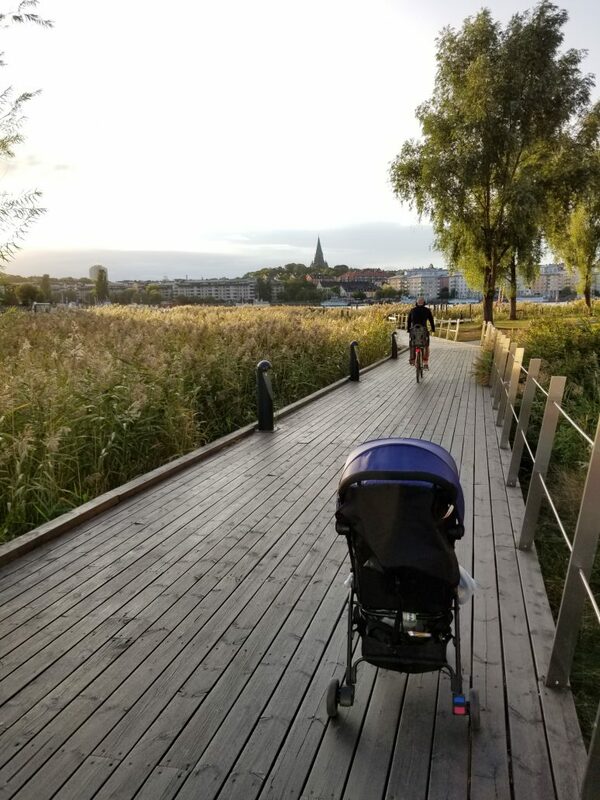 So technically, our little guy had 9 days to get on the right clock, luckily, he adjusted all on his own by the fifth day.The silver lining to having a completely sleep-confused baby was we were able to do things like bike ride around Copenhagen, eat out at nice restaurants, and enjoy entire cups of Scandinavian coffee (you don’t just half drink those), all without interruption. My partner and I had been to Europe two summers previously, and obviously, it was a very different trip. We moved about with ease, dined in upscale restaurants, trekked through castle ruins, meandered through museums, and stayed up late sipping wine, not a care in the world. 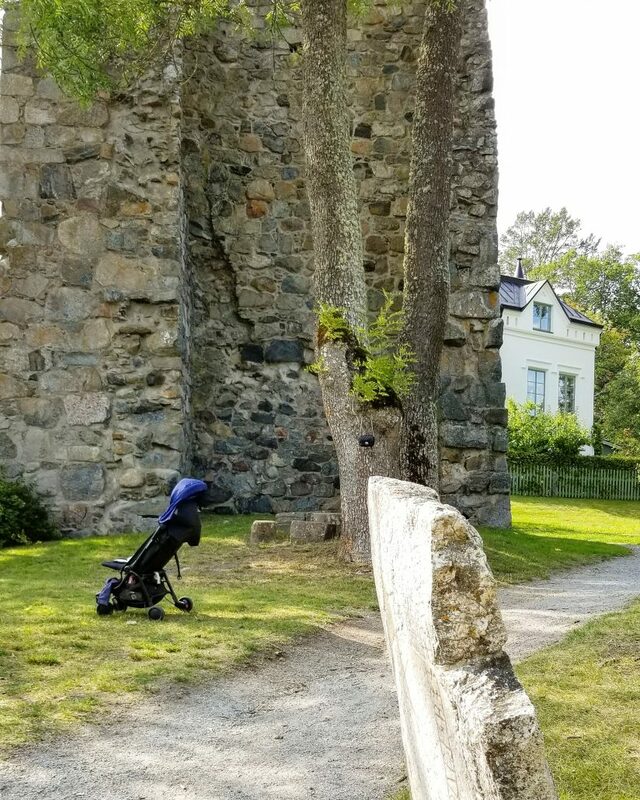 Travelling Europe with a baby? Could not be a more opposite experience. Restaurant dining became impossible, because who wants to dine with a tiny velociraptor? There was no meandering through museums, more like whipping through at neck-breaking speed, desperately trying to catch the highlights. And while we did manage to nail the trekking down thanks to our awesome baby carrier (I’ll dedicate a post just to baby gear), we finally decided that we had to enjoy Europe differently. We spent a lot of time in parks letting him turbo crawl (our son only has one speed). We spent more time in our hotels and apartments letting him play or catching up on sleep because it meant the day would be easier. We learned to shut the world out, and enjoy our time as a family unit. As cheesy as it sounds, it didn’t matter where in the world we were (although watching your little guy crawl around a 13th century tower is pretty breathtaking), as long as we were together. And in the end, we ended up seeing way more than we ever planned initially! 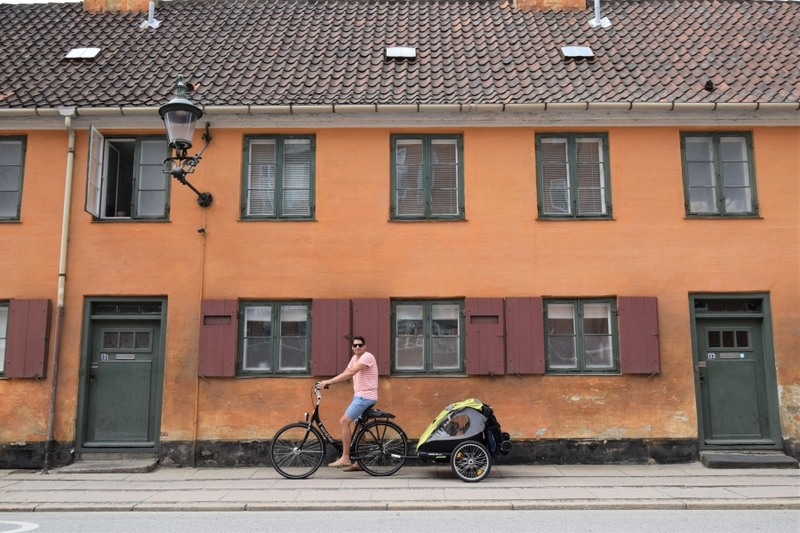 Cobble-stoned alleys of Stockholm – We don’t recommend this particular stroller brand for this! One of the pieces of “advice” I read was not to worry about bringing your own food. “It’s good to expose your baby to foods from around the world.” That sounds lovely and cultured, but I was trying to mitigate potential catastrophes. Food meltdowns were not something I really wanted to add to the growing list of potential trip-ruiners while travelling with a baby in Europe. So, I dutifully packed two weeks worth of baby food, and all his favourite snack crackers and oat bars. We did expose him to new foods, but I can’t tell you how many times having our own food options saved us. This is something else I’d love to dedicate a post to, but for us, the hotels we booked ended up being a better option for our infant. We had cribs, limited furniture and less hazards to worry about in our hotels than in our apartments. I’m sure there are plenty of baby-friendly properties out there, I just didn’t take the time to consider that our little guy would be on the move and we’d have to temporarily baby-proof our accommodations. Plus, since our room looked like we’d invited over the Rolling Stones, Red Hot Chili Peppers and entire cast of Sesame Street by the end of the day, it was nice to have a little help from housekeeping. I painstakingly debated with myself over what to bring in terms of gear. Our trip entailed a lot of movement (6 flights, 1 long distance train, 2 roadtrips and countless trips on transit buses, trains etc). 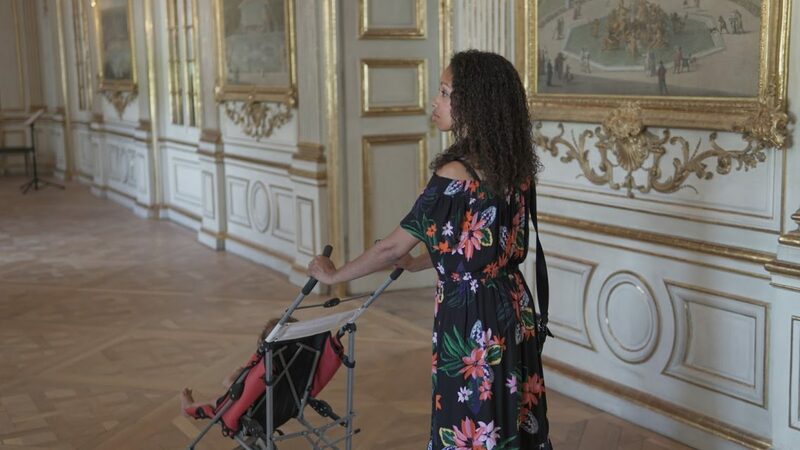 And there’s the age old argument: Stroller or Baby Carrier. Honestly? We brought both and it was a saving grace. Germany was 30+ degrees every day and hauling around a 25lb babe on your back starts to feel like 50lbs after a few hours. We mixed it up, depending on our destination for the day. Our stroller was small enough to place in an overhead bin on our flight, so it didn’t end up being a burden. And our baby carrier had storage and an awesome sunshade so we didn’t have to carry any extra bags all day, and our little guy could nap comfortably (I’ll blog more about it later). My partner and I both realized that this trip was the very first time we truly felt the kindness of strangers. Young German students went out of their way in Munich and Berlin to help us find our way on the train platform on several occasions. A Japanese grandma cuddled our little guy for the last hour of our plane ride into Copenhagen because she could see we were struggling. 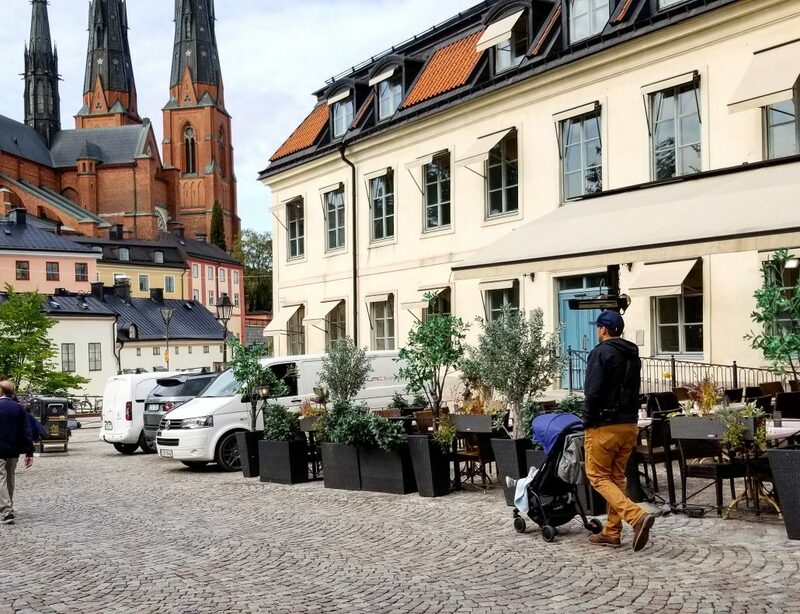 The Danes and Swedes were warm and generous with their time. It could have been because of our baby, or because we were obviously enjoying ourselves in their countries, but it doesn’t matter. The world isn’t always dark and cruel, and it’s a lesson we hope to teach our little cub when he starts to travel on his own. So there you have it folks, our own little survival guide to travelling Europe with a baby. Yes, there were a few tears, an argument or two, and definitely a few infant meltdowns, but none of that detracted from this amazing experience and we would do it all over again in a heartbeat! 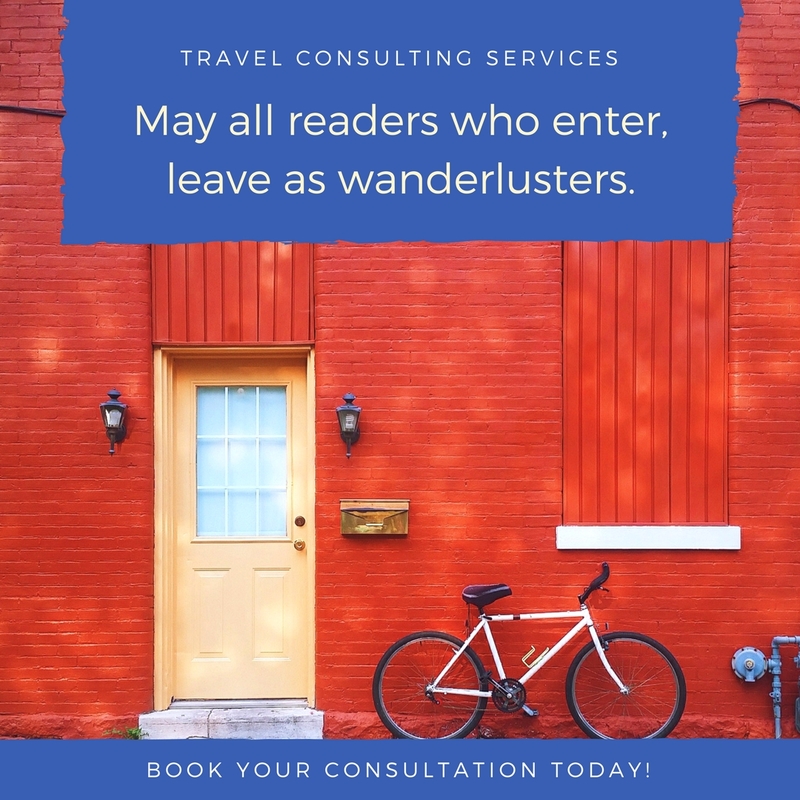 Have you taken a trip to Europe with a baby? Or maybe somewhere else? What were a few things you learned along the way?